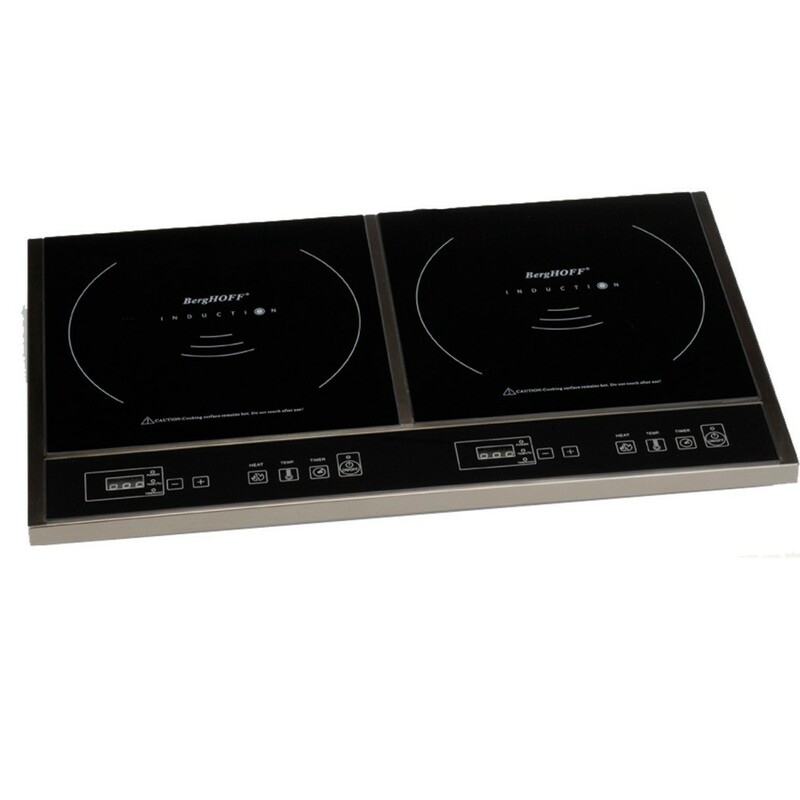 A double induction cooktop comes with tow burner to suit your different cooking needs. Perfect for entertaining or anytime you need extra burners, the double induction cooktops ensure efficient cooking results-each time. 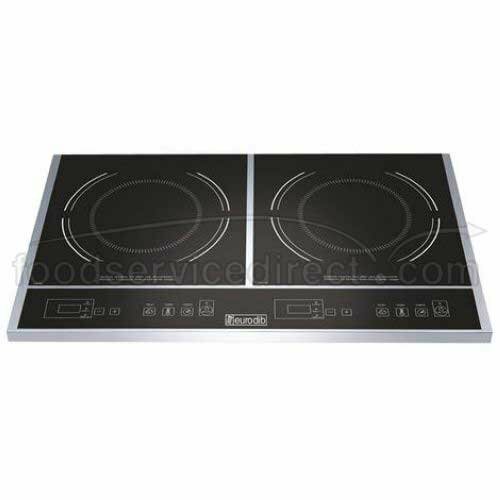 Compared with electric coils and gas burners, double induction cooktops are more safe and powerful. Their high performance is sure to let you speechless. 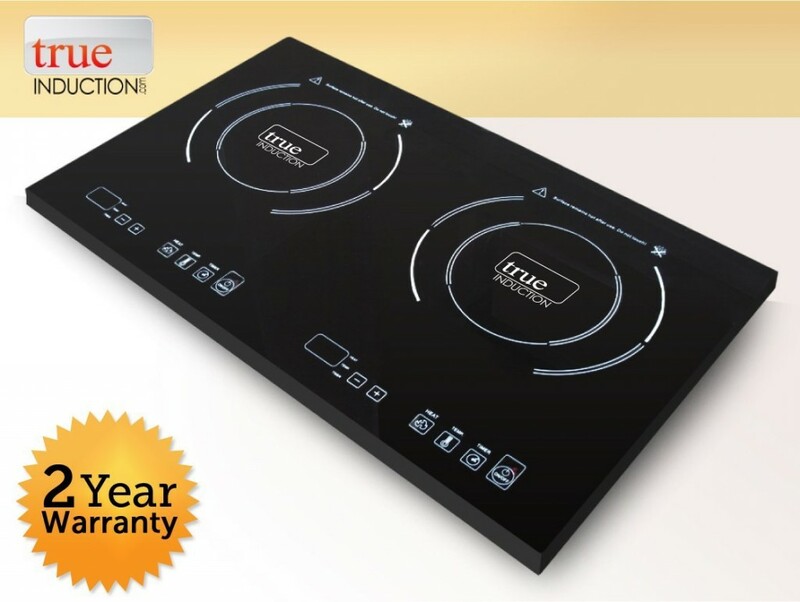 Sleek design and advanced technology come together in the True Induction Cooktop- Double Burner. It features quick response times, even heating and instant heat adjustments, providing a state of the art cooking experience while being the pinnacle of safety. The overheating sensors recognize when no cookware is present and turns for peace of mind. In addition, the timer function & exact temperature setting ensure precise cooking each time. Now replace your conventional cooktop with a more energy efficient induction cooktop. This Warring Pro Induction Cooktop features two burners with induction technology for fastest heat-up and uses up to 70% less energy than conventional cooktops. For added safety, the heat shuts off automatically 30 seconds after pan is lifted off. Left burner: on/off, 8 heat settings, 150-minute timer; Right burner: on/off, 5 heat settings, 150-minute timer. Safe and functional, this BergHOFF Touch Screen Induction Cook Top will be a great alternative to your electric coils and gas burners. It features dual functions with shatter resistant tempered glass surface. With an adjustable temperature control, this unit heats up instantly and keeps food warmed. The overheating protection ensures safety and put your mind at ease. With a portable design, this unit allows for easy storage. 4. Eurodib Double Induction Cooker, 23 1/2 x 14 1/8 x 2 1/2 inch — 1 each. 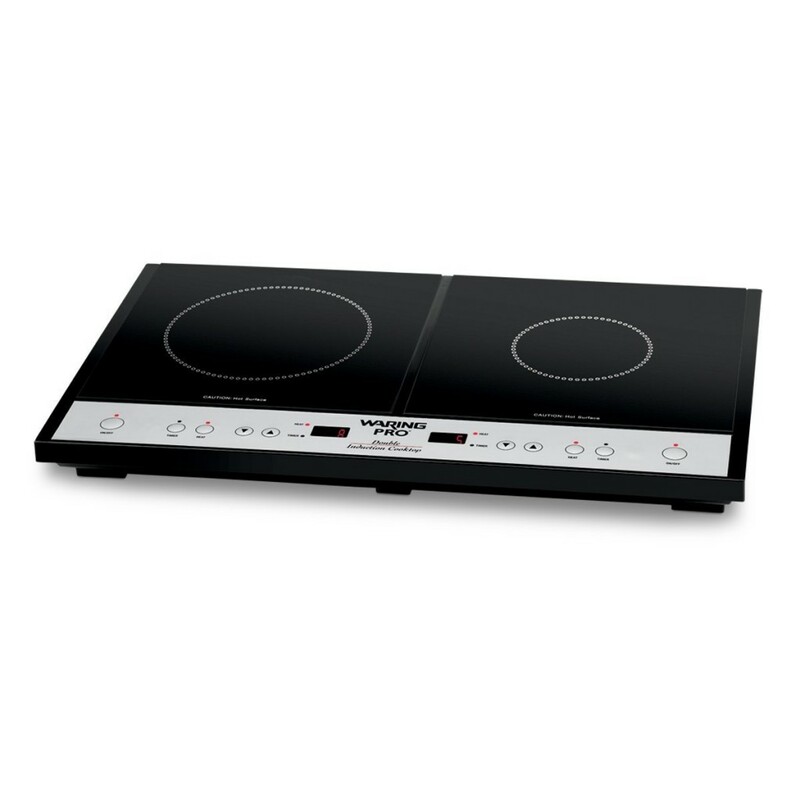 Featuring hard plastic frame with high quality glass cooktop, this Eurodib Double Induction Cooker will provides all the quality you require. Suitable for cooking pots with diameters between 4 3/4″ and 10 1/4″ (12 and 26 cm), this unit heats up quickly and nicely. It comes included with 9 second shut-down after removal of pot for added safety. Place no more than 35 lbs (15 1/2 kg) on the cooking surface. 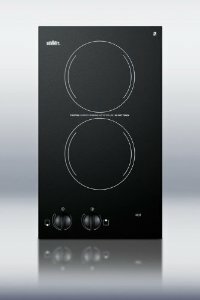 With smooth black surface made from Eurokera glass, this Two Burner Electric Cooktop provide you with both style and function. It comes with two heating elements for efficient cooking results each time. The residual heat indicator light indicates when surface is still hot to touch, so you hand will not get hurt. Fits counter cutout sizes that are 11.13” wide by 19.13” deep.